These were the winners! Little did I know that when I arrived at Genoa’s house, I was in for the shock of my life. SHE HAS THREE OVENS. 3! She’s lived in the house for over two years and has only ever used one of them. This was all about to change. 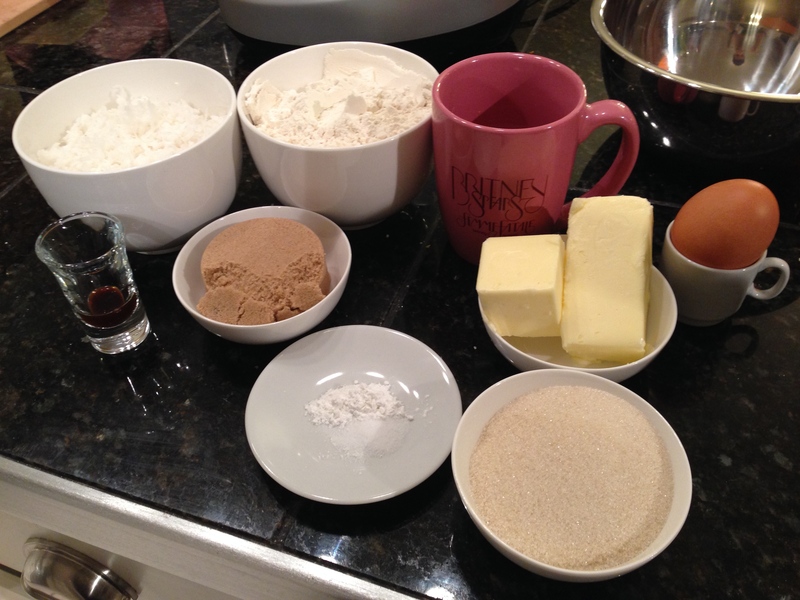 Step 1: Gather ingredients: Shredded coconut, flour, vanilla, brown sugar, butter, egg, baking powder, salt, sugar. Genoa made me a cocktail and served it in a Britney Spears mug! It’s like she has ESPN or something! I’m going to see Britney in Vegas in a few days, so the “Femme Fatale Tour” mug was perfect. 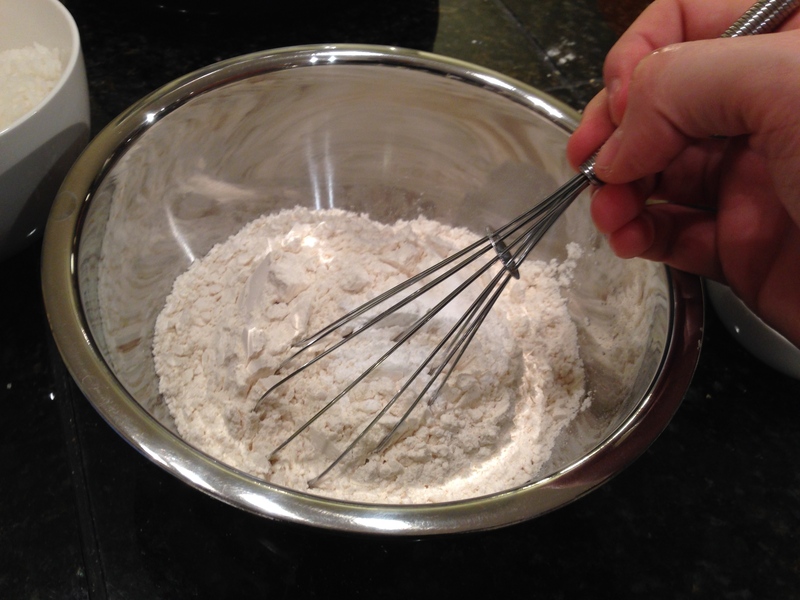 Step 2: Whisk together flour, baking powder, and salt. Step 3: Pulse coconut in a food processor until coarsely ground. 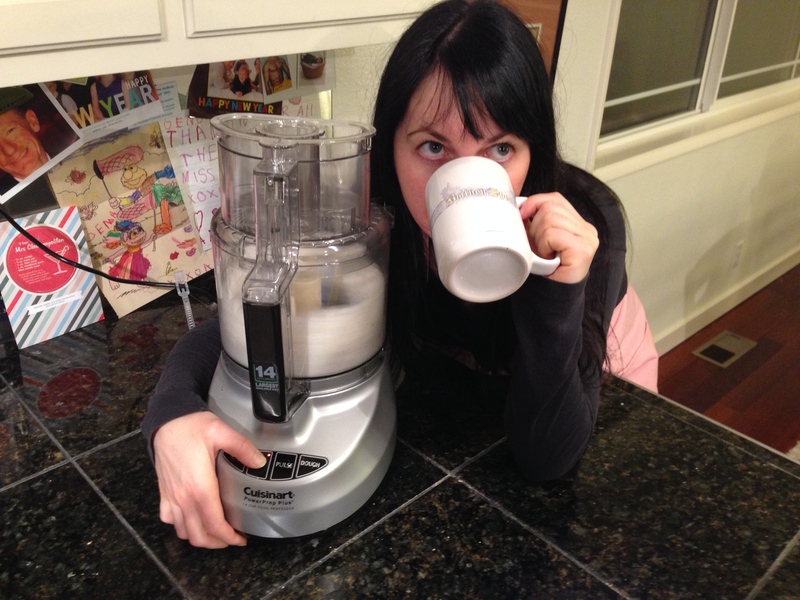 Look at that beautiful Cuisinart food processor. It puts my Food Network brand one to shame. Genoa is drinking out of a “The Circus Starring: Britney Spears Tour” mug. This cool chick is winning points. 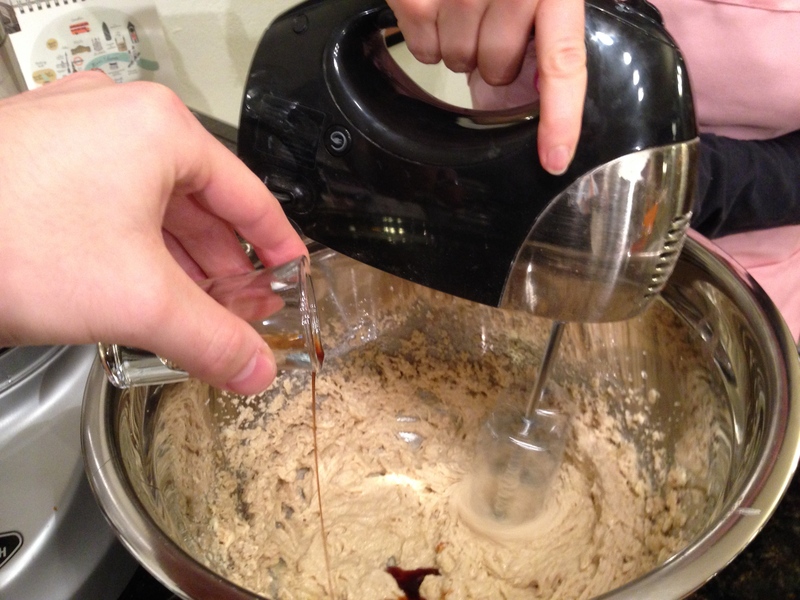 Step 4: Beat butter and both sugars with an electric mixer. You wanna live fancy? 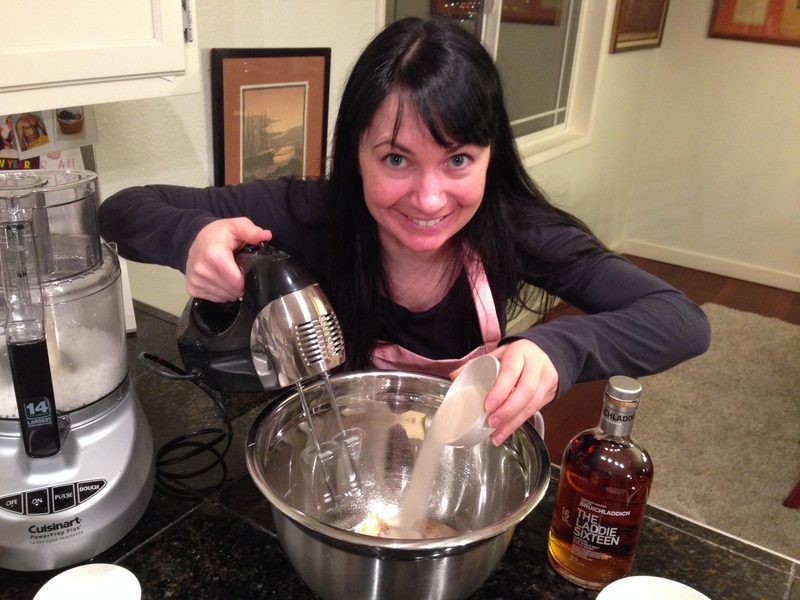 Then get a stand mixer. 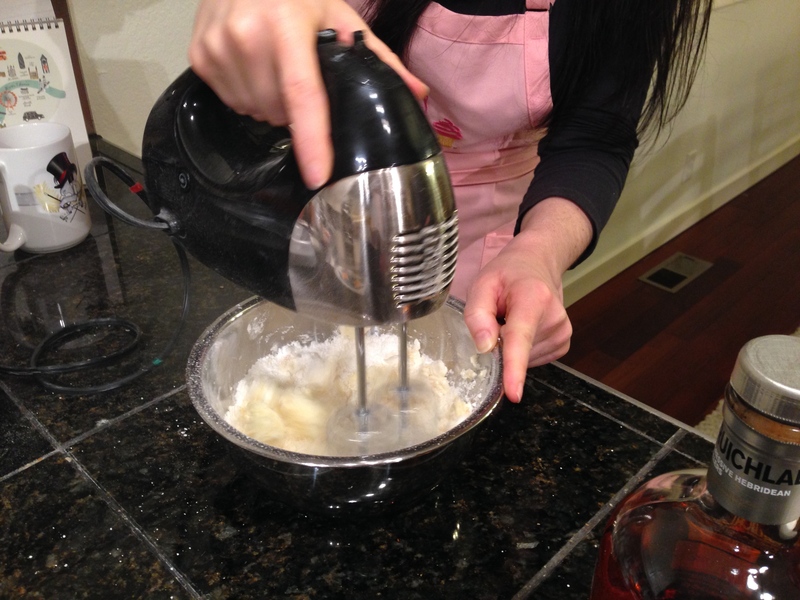 I was not about to use a hand mixer. Get to work, b**ch. I helped too. 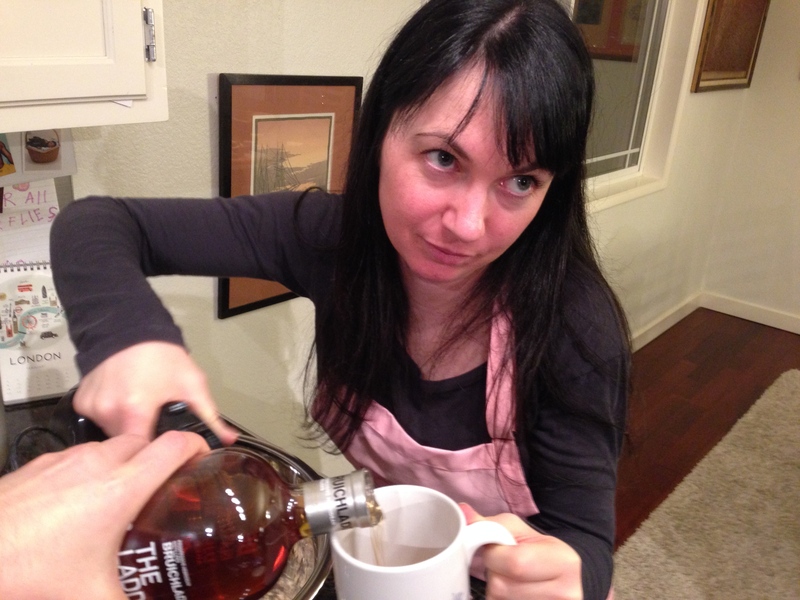 By pouring her scotch while she was busy. Step 5: Add egg and vanilla. We had awesome shooters, listened to awesome music, and sat around and soaked up each other’s awesomeness. Since this is literally taking forever, I’m going to retell a funny story. Genoa has lived in Eugene for a while now, but has never met her neighbors. She finally introduced herself to the house across the street and they said, “Um, can we ask you a question? What do you do for work?” Genoa responded, “Why do you ask?” and they told her that she’s barely home, she leaves in the middle of the night for a couple hours at a time, the UPS guy says she gets packages from expensive stores but he never sees her, and she travels a lot (I hear she does car commercials. In JAPAN.). Horrified of what they’re implying, she said, “I’m a surgeon. Sometimes I have to go to the hospital for surgery in the middle of the night for a couple hours.” This is true, BTW. I wish I could have seen their faces. 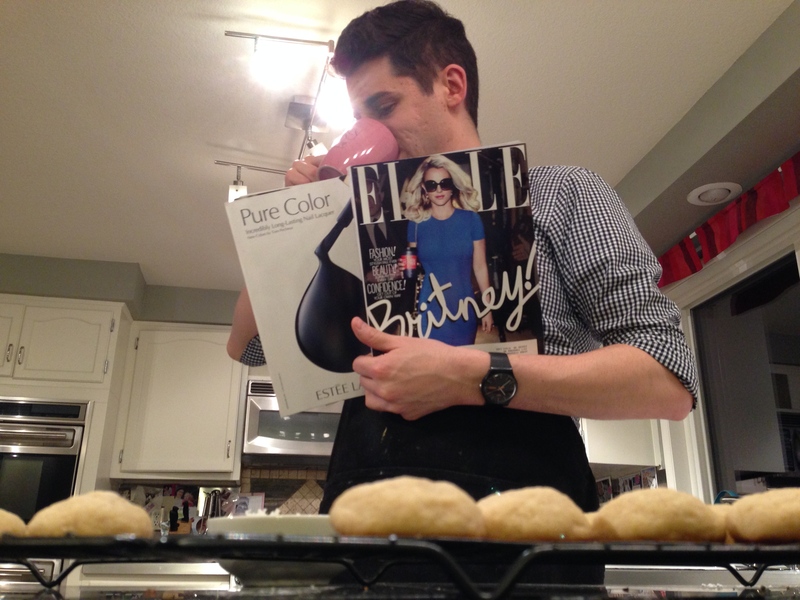 Okay, back to baking. 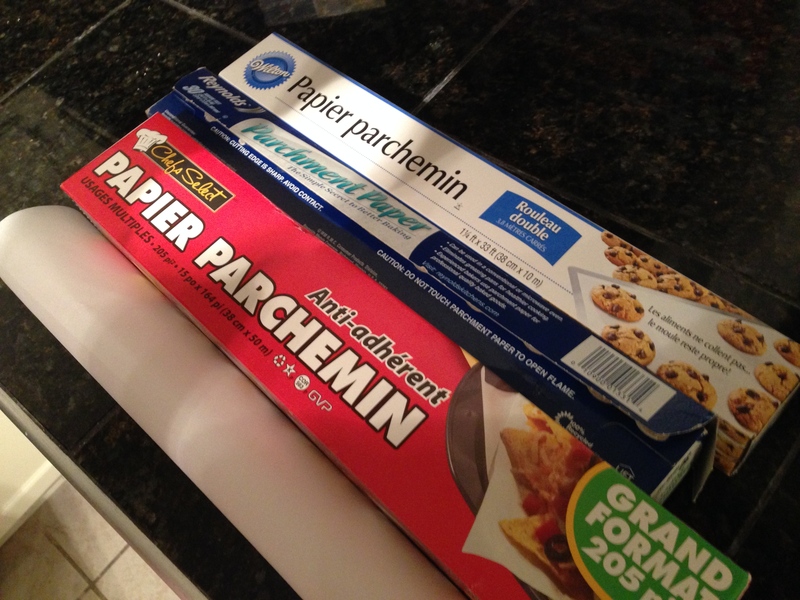 Look at all this parchment paper. I don’t even have more than one roll and I bake regularly. 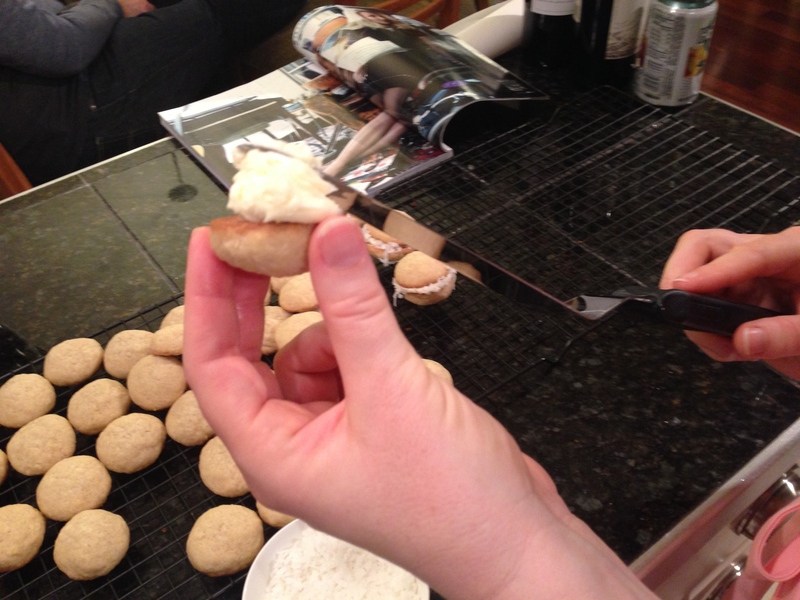 Step 6: Drop dough by the level tablespoon onto parchment-lined baking sheets. Bake for 10-12 minutes. 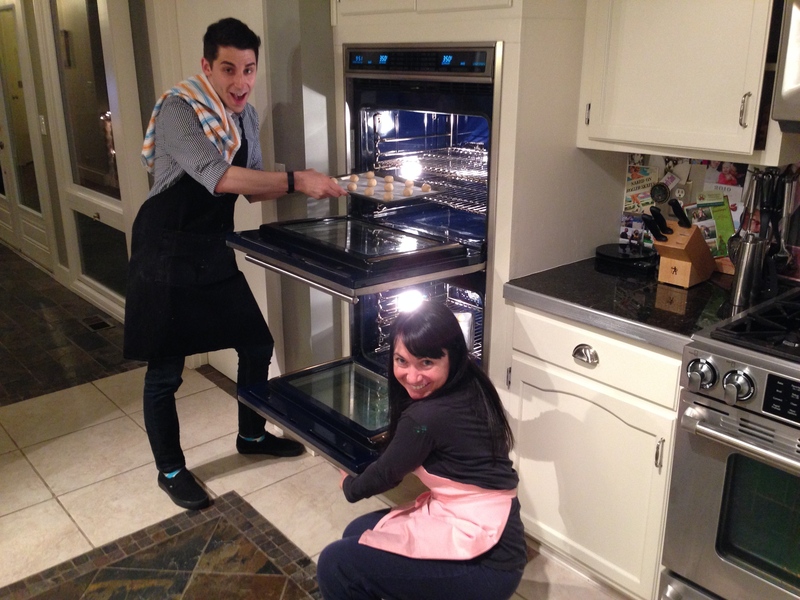 You better believe we used all three ovens at once! So efficient. Go ahead and continue posing for pics, Genoa, while I do the work. 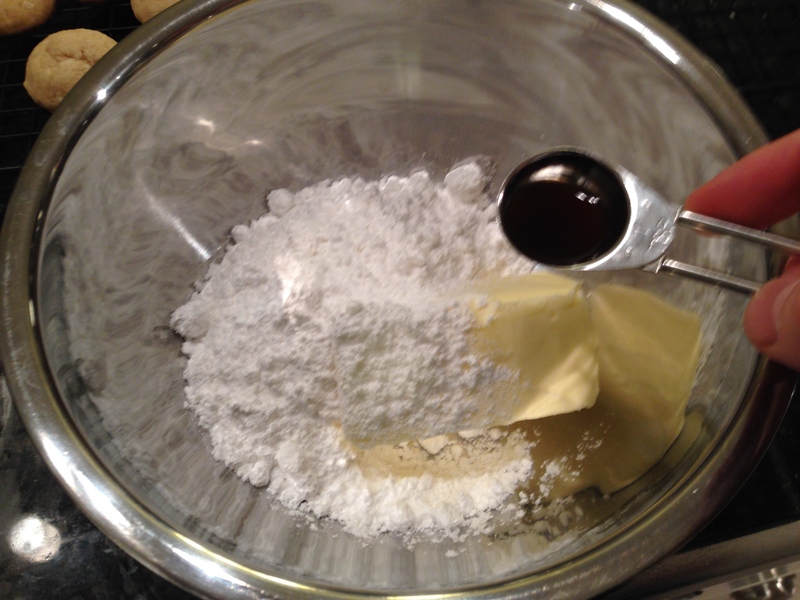 Step 7: Make filling: butter, powdered sugar, vanilla. I got yelled at because she didn’t trust me that it would turn creamy. 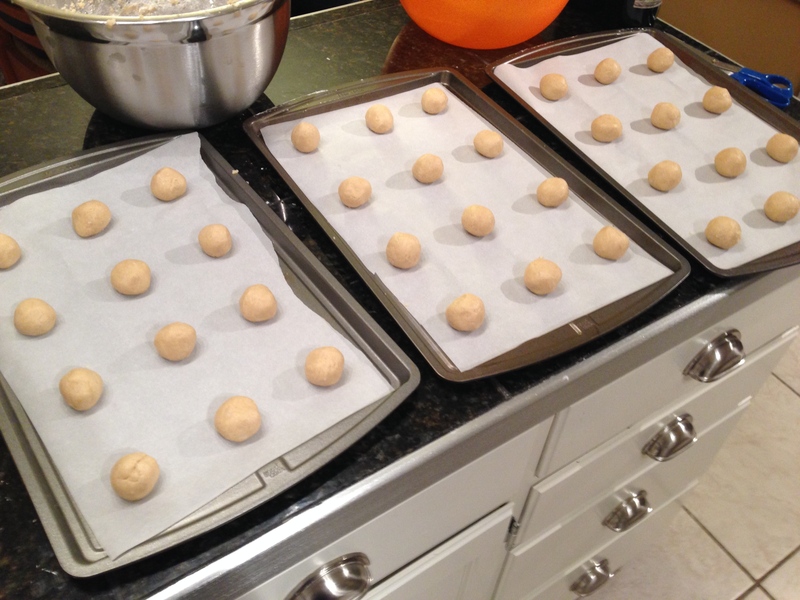 Step 8: Wait for cookies to cool before filling. Of course she would have the back issue of Elle with Brit on the cover. It’s like she was born to make me happy. Step 9: Fill and sandwich, then roll in coconut. After spending $250 on supplies to make a cake once, she actually had an offset spatula for this. It was giant, but it worked. She got a little out of control as you can see here. I had to crack the whip. Martha’s estimated time: I HAVE NO IDEA. 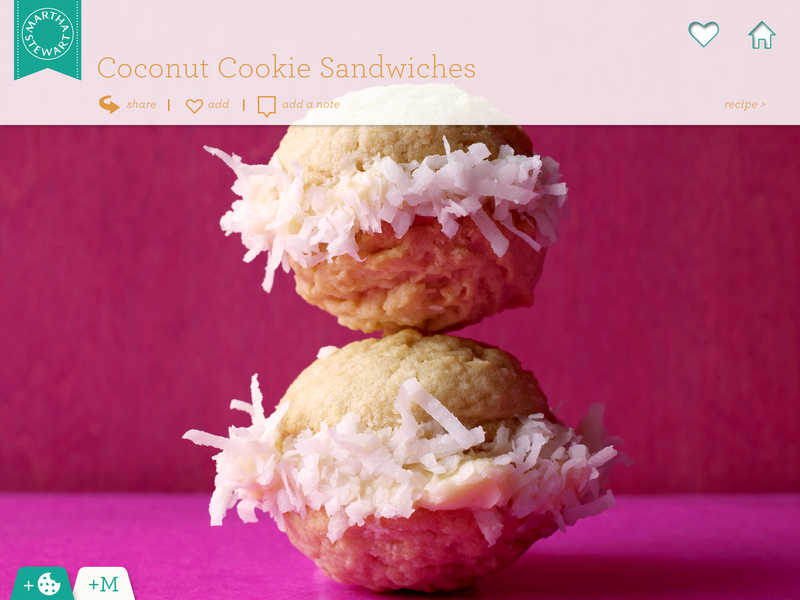 The app updated and no longer shows the estimated time or number of cookies it should make. At least the web version of the recipe had one of those. I need 3 ovens. I’m moving in. Cuisinart is better than Food Network brand. There’s only two types of people in the world. The ones that bake and the ones that observe. 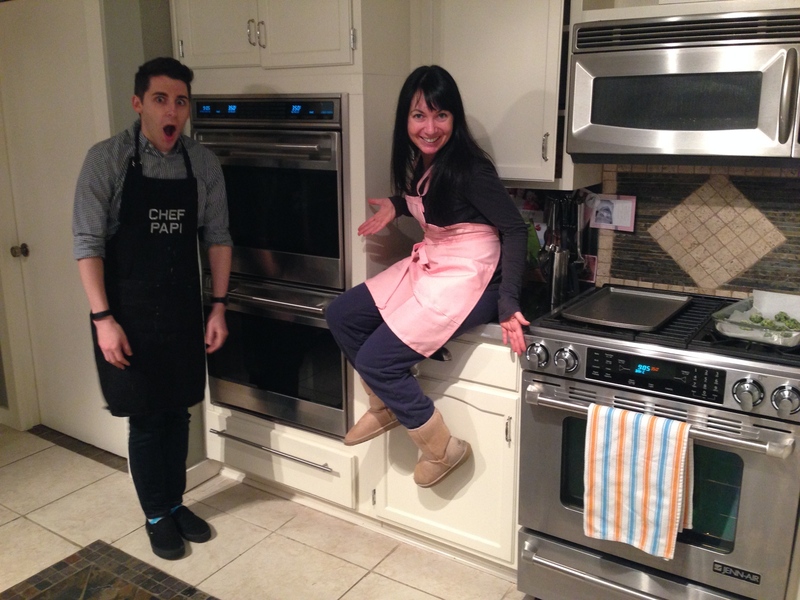 Is it bad to question someone’s character if they have 3 ovens and no KitchenAid stand mixer? 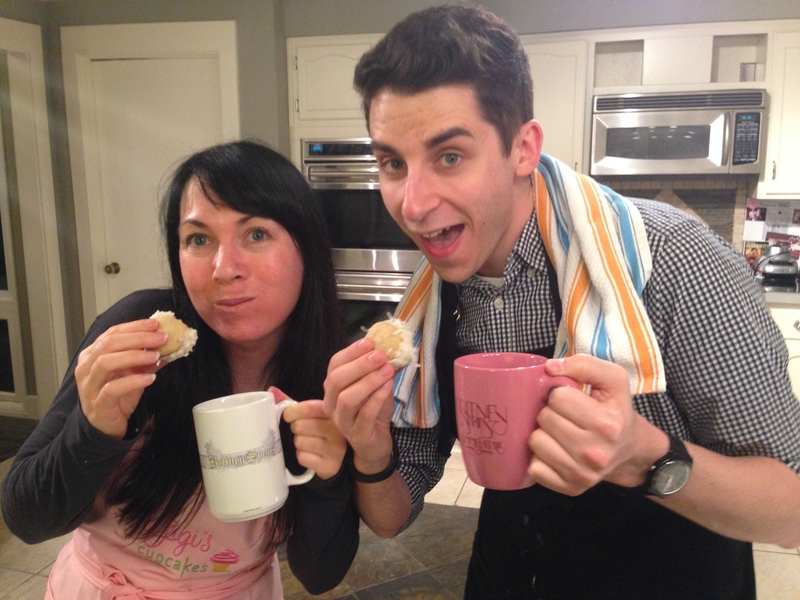 Thanks for hosting, G. The fact that you thought the cookies were “too rich” makes me worry if I can trust you. We’ll have to see what happens next time.